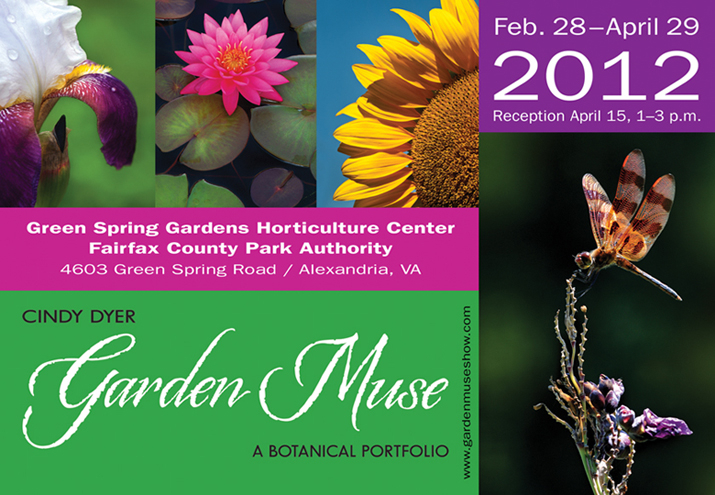 My photography exhibit, titled “Garden Muse: A Botanical Portfolio,” will be at the Horticulture Center at Green Spring Gardens in Alexandria, Virginia. It runs February 28-April 29, 2012, so there’s plenty of time to come see it if you’re in the Virginia/D.C. area or are planning to visit this spring. My reception is Sunday, April 15. So set aside your taxes (if you’re not already done with them at that point!) and come join me at the reception from 1-3 p.m. for some mingling, appetizers and refreshments. 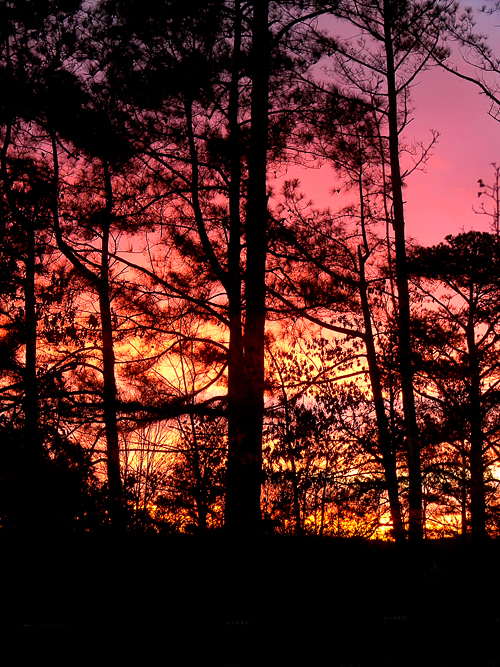 All images will be for sale and 15% of proceeds will go to Green Spring Gardens. I will be preparing a complete gallery of images from the show in late spring. Framed images and matted-only images will be available for purchase after the show as well. Contact me at dyerdesign@aol.com for sizes and pricing. The website below was done by my friend and fellow graphic designer, Sonya Mendeke. For more info, visit http://smendeke.com/. 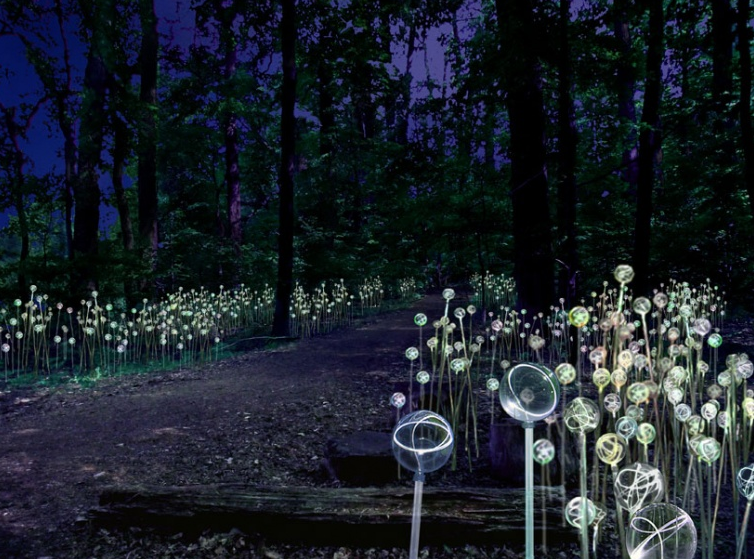 I just discovered Bruce Munro‘s lighting art through French gardener Delphine’s blog here. While all of his work is amazing, his outdoor and garden installations are breathtaking! Learn more about Field of Light® here and see more photos of installations here. I shot this image of a part of Lake Lavon as we were leaving my younger sister’s home in Wylie, TX on Tuesday morning, en route from San Antonio back to Virginia. Despite recent rains, the lake is still 12 feet below normal. At its deepest, the lake is only 40-45 feet deep. The North Texas Municipal Water District (NTMWD) receives raw water supplies from Lavon Lake, Jim Chapman Lake, Lake Texoma, Lake Tawakoni, and Lake Bonham for treatment and distribution to the region served. The North Texas Municipal Water District serves hundreds of thousands of North Texans. 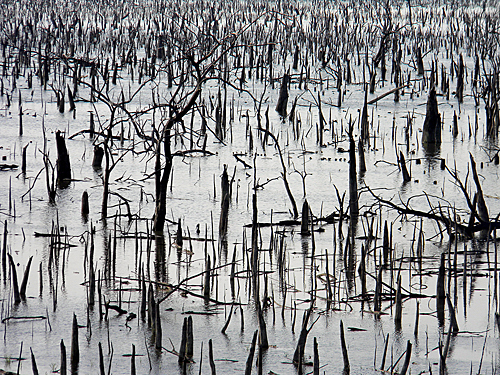 Learn more about the effects of drought on Lake Lavon here. Repost: Photographs? Well, not technically.